Purchase this product now and earn 1,620 Points! Camacho cigars in the convenient cigarillo size. 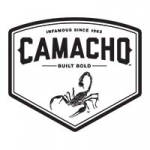 Camacho’s take on the sweeping wave of cigarillo trends is some of the best on the market. Handcrafted using Honduran long fillers from the Jamastran Valley and an Ecuadorian wrapper, a rich medium-bodied smoke is what you’ll get. Perfect for taking a break, Camacho aims to impress.